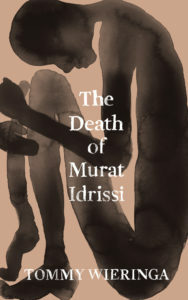 Dutch literature from the twenty-first and nineteenth centuries has been attracting attention this year with the longlisting of Tommy Wieringa’s The Death of Murat Idrissi for the prestigious Man Booker International Prize 2019 and the publication in New York of a new translation of Multatuli’s anti-colonial classic, Max Havelaar, now with an introduction by the Indonesian author Pramoedya Ananta Toer. 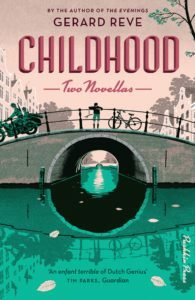 Meanwhile the interest in modern classics continues with the publication of Gerard Reve’s Childhood: Two Novellas and Jan Terlouw’s Winter in Wartime, both by Pushkin in London. 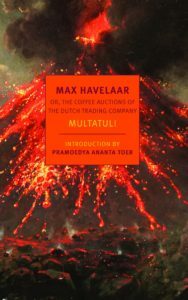 Multatuli, Max Havelaar: Or, the Coffee Auctions of the Dutch Trading Company. Translated by David McKay, Ina Rilke. 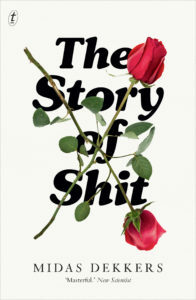 New York Review of Books, 2019 (NYRB Classics). PB. Joost de Vries. The Republic. Translated by Jane Hedley-Prole. New York: Other Press 2019. PB. Hubert Lampo. The Coming of Joachim Stiller. Translated by Paul Vincent. Valancourt Books, 2019. PB. Sarah Meuleman. Find Me Gone. Translated by David Doherty. HarperPerennial, 2018. PB. Karel van de Woestijne. The Dying Peasant. Translated by Paul Vincent. Snuggly Books, 2018. PB. Amsterdam Noir. Various authors and translators. Akashic Books, 2018. Luuk van Middelaar. 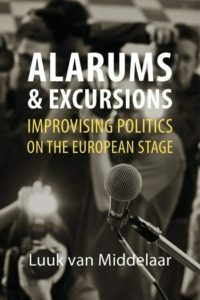 Alarums & Excursions: Improvising Politics on the European Stage. Translated by Liz Waters. Agenda Publishing, 2019. HB. Olivier van Beemen. Heineken in Africa: A Multinational Unleashed. 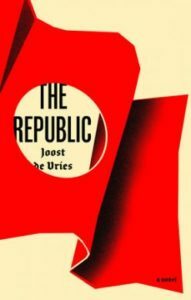 Translated by Bram Posthumus. Hurst & Co., 2019. HB. Martijn van Calmthout. Sam Goudsmit and the Hunt for Hitler’s Atom Bomb. 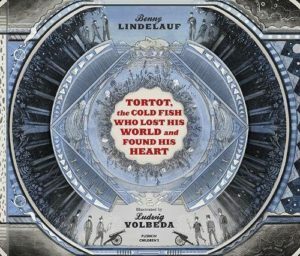 Translated by Michiel Horn. Prometheus Books, 2018. HB. Henkjan Honing. The Evolving Animal Orchestra: In Search of What Makes us Musical. Translated by Sherry Macdonald. 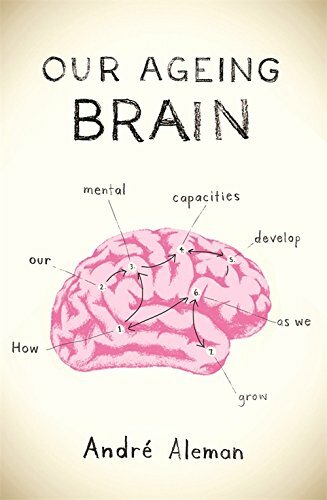 The MIT Press, 2019. HB. Anton van der Lem. Revolt in the Netherlands: The Eighty Years War, 1568-1648. Translated by Andy Brown. Reaktion Books, 2018. HB. Stefan van der Stigchel. How Attention Works: Finding your Way in a World Full of Distraction. Translated by Danny Guinan. The MIT Press, 2019. HB. Marc ter Horst. Hey There, Earth Dweller! 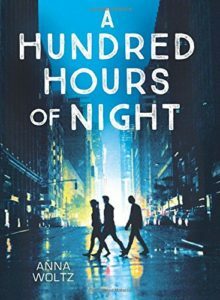 Translated by Laura Watkinson. Simon & Schuster, 2019. HB. Lieke Marsman. The Following Scan Will Last Five Minutes. 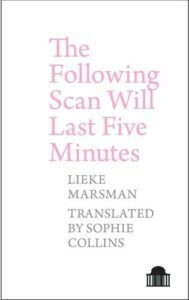 Translated by Sophie Collins. Liverpool University Press, 2019. 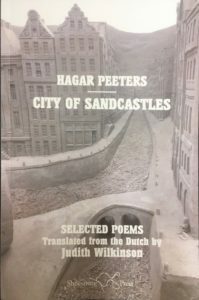 Hagar Peeters. 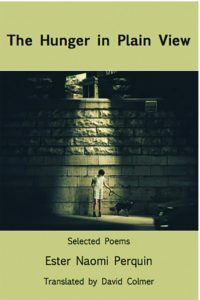 City of Sandcastles: Selected Poems. Translated by Judith Wilkinson. Shoestring Press, 2018. PB. Leonard Nolens. An English Anthology. Translated by Paul Vincent. Carcanet, 2018 (Carcanet Poetry). PB. 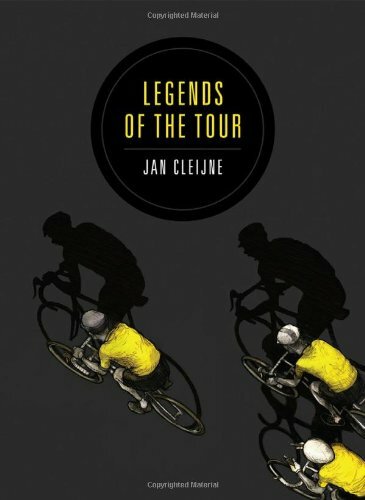 The English-speaking world continues to catch up on Dutch classics. 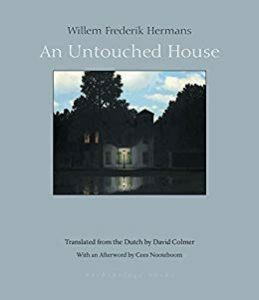 An Untouched House, the first English book publication of Willem Frederik Hermans’s Het behouden huis, is receiving some excellent reviews in the UK and has just been published in the USA. 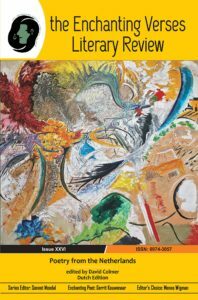 Other noteworthy recent publications include two new anthologies. 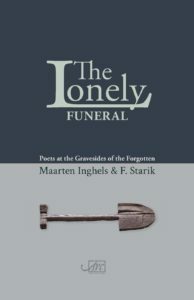 The Lonely Funeral, a selection of essays by Maarten Inghels and F. Starik, features poems written for and read at paupers’ funerals in Amsterdam and Antwerp. 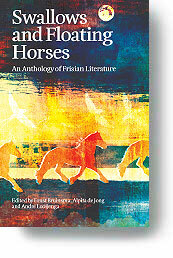 Swallows and Floating Horses: An Anthology of Frisian Literature, part of Francis Boutle Publishers’ Lesser Used Languages of Europe Series, is a massive bilingual collection of both prose and poetry from the eighth century to the current day. REQUEST FOR FEEDBACK: We’d like to know who reads these newsletters on our website, what you use them for, whether they’re helpful to you, and what comments you may have. If you have a moment, please follow the link to the contact form on the website or send us an email, even if it’s just to let us know that you’re out there. Thanks for your help! Willem Frederik Hermans. An Untouched House. Translated by David Colmer. 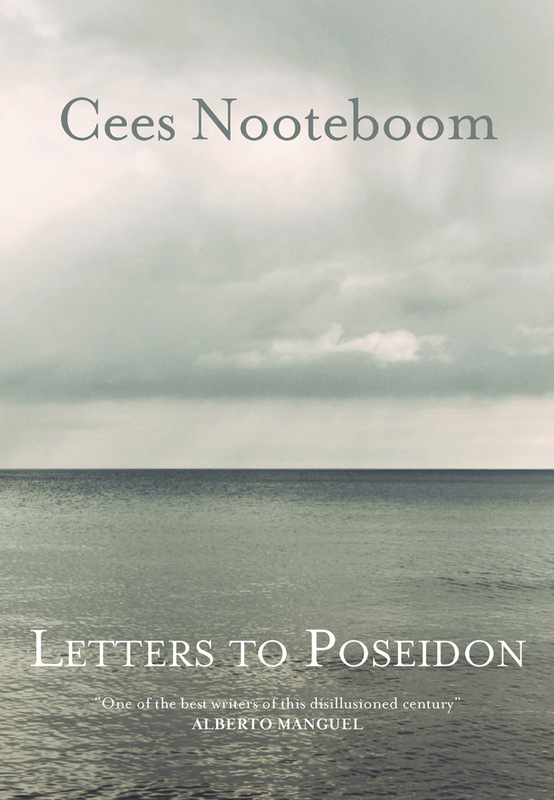 Afterword by Cees Nooteboom. Martin Michael Driessen. Rivers. 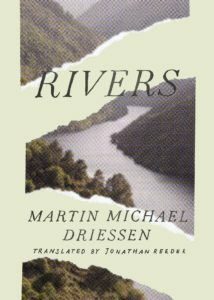 Translated by Jonathan Reeder. AmazonCrossing, 2018. HB. Sander Kollaard, Stage Four: A Novel. Translated by Michele Hutchison. AmazonCrossing, 2018. PB. Natascha Veldhorst. Van Gogh and Music. Translated by Diane Webb. Yale University Press, 2018. HB. Philip Hopman. For Audrey with Love: Audrey Hepburn and Givenchy Translated by Ann De Clercq-Foley. 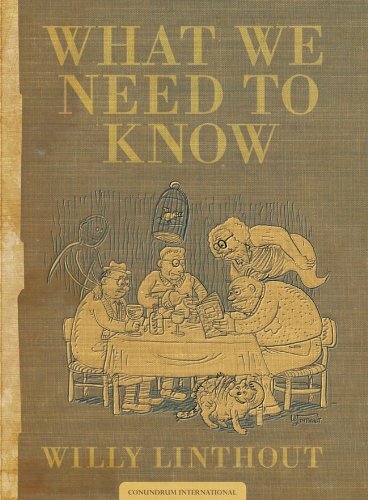 Illustrated by Philip Hopman. Nord-Süd, 2018. HB. Thé Tjong-Khing. Art with Cake. Translated by Charles Hugo. Illustrated by Thé Tjong-Khing. Mediterrània, 2018. HB. Schubert, Dieter. Schubert, Ingrid. Delft Blue: A Vase for the Princess Translated by Jan Michael. 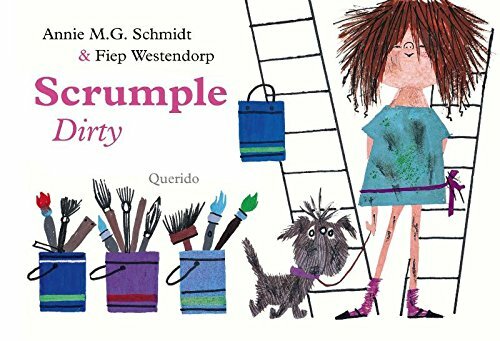 Illustrated by Ingrid Schubert, Dieter Schubert. Leopold, 2018. HB. Harmen van Straaten. Hey, Who’s in the Loo? 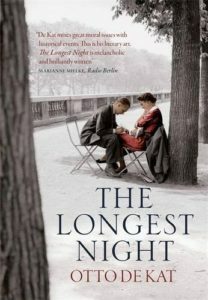 Translated by Laura Watkinson. Illustrated by Harmen van Straaten. Red Robin Books, 2018. PB. Serge Baeken. 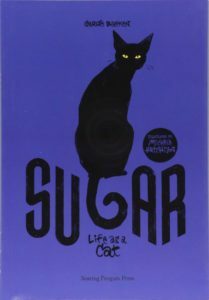 Sugar: Life as a Cat. Translated by Michele Hutchison. 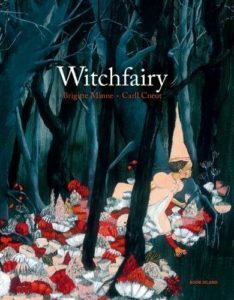 Illustrated by Serge Baeken. Soaring Penguin Press, 2018. PB. After a flood of English translations of Dutch-language literature in our last few issues, things are a little quieter this time round, but there are still several exciting titles, most notably an Amsterdam volume in Oxford University Press’s well-received literary travel series, with fascinating works from the seventeenth to twenty-first century, translated by Paul Vincent. 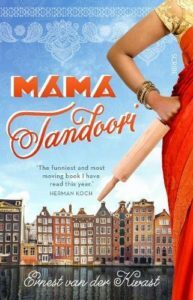 Other particularly noteworthy titles are Ernest van der Kwast’s Mama Tandoori, published by Scribe, and The Consequences by Niña Weijers, published by DoppelHouse Press. 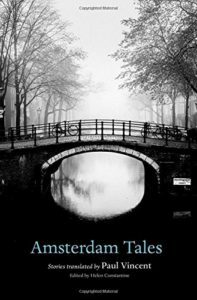 Amsterdam Tales, with prose by Joost van den Vondel, Remco Campert, Margriet de Moor, etc., edited by Helen Constantine, translated by Paul Vincent. Oxford University Press, 2017. PB. 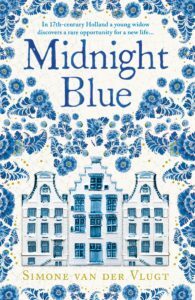 Simone van der Vlugt, Midnight Blue, translated by Jenny Watson. Ambo | Anthos, PB, 2016. Vincent Bijlo, The Institute, translated by Susan Ridder. Holland Park Press, 2017. 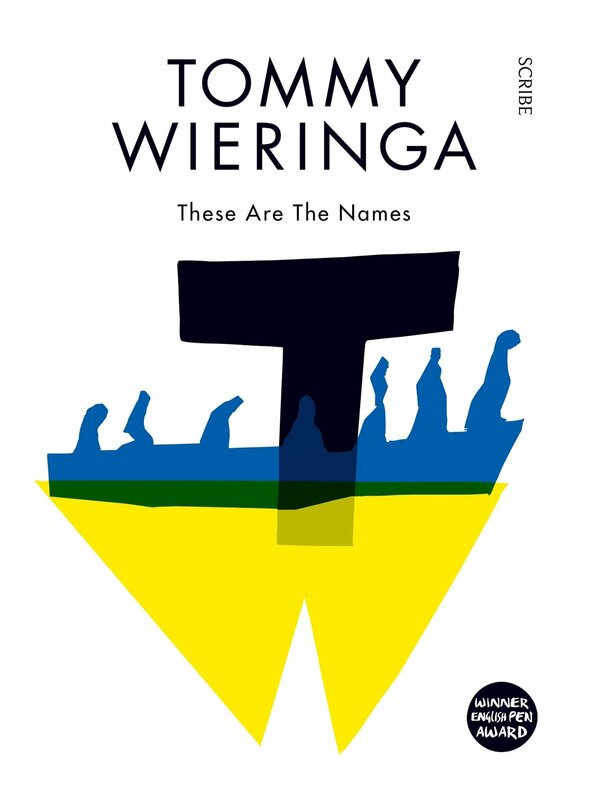 Pim Wiersinga, The Pavilion of Forgotten Concubines, translated by Pim Wiersinga. Regal House Publishing. PB, 2017. 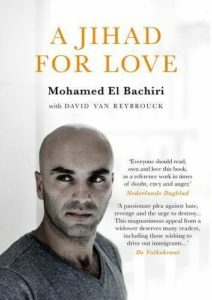 Mohamed El Bachiri, David van Reybrouck, A Jihad for Love, translated by Sam Garrett. Head of Zeus, 2017. PB. Rutger Bregman, Utopia for Realists, translated by Elizabeth Manton. Bloomsbury, 2017. HB. Wim Verbei, Boom’s Blues, translated by Scott Rollins. University Press of Mississippi. HB, 2017. Lucas Ellerbroek, Planet Hunters, translated by Andy Brown. Reaktion Books. HB, 2017. Pia de Jong, Saving Charlotte, translated by Pia de Jong, Landon Jones. W.W. Norton & Company. HB, 2017. Willemijn Stokvis, Cobra, translated by Rosalind Buck. nai010 uitgevers. HB, 2017. 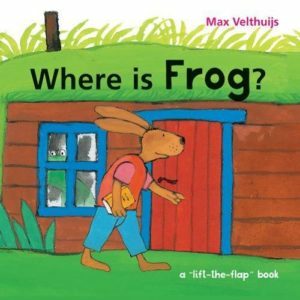 Max Velthuijs, Where is Frog?, translated by Michael Worek. Ill. Max Velthuijs. Firefly Books, 2017. 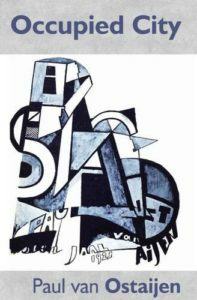 Adriaan Roland Holst, A Winter by the Sea, translated by Roger Kuin. Ian Jackson. PB, 2017. 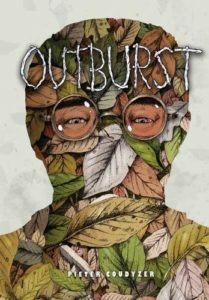 PieterCoudyzer, Outburst, translated by Peter Mennen. SelfMadeHero. HB, 2017. 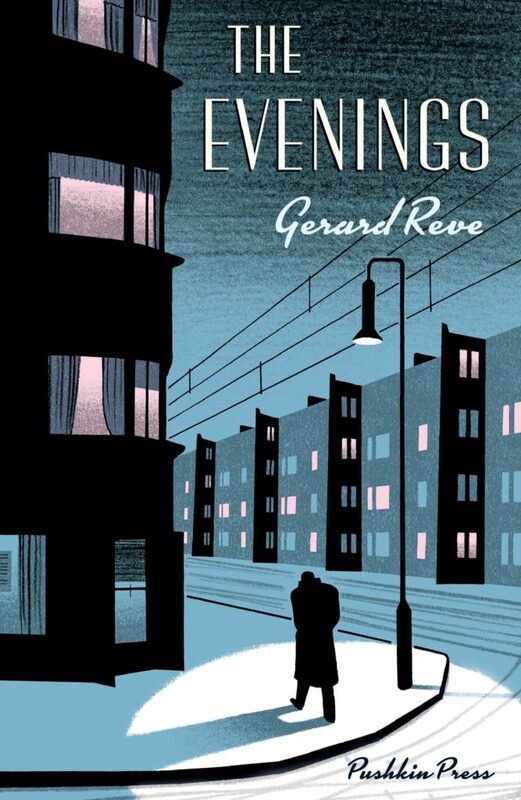 There has been a lot of attention for English translations of Dutch-language literature in the last few months with a media storm in the Netherlands around the long overdue publication of an English version of Gerard Reve’s De Avonden (The Evenings, trans. Sam Garrett). 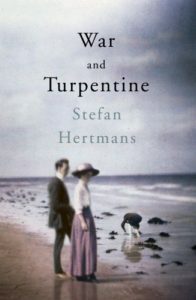 Another stand-out has been Stefan Hertmans’s War and Turpentine (trans. David McKay). 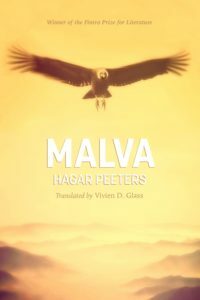 In autumn we drew attention to the great reviews it had been getting in both the US and the UK, and it has now been longlisted for both the Man Booker International in the UK and the Best Translated Book Award in the US, the two premier prizes for translated fiction in the English-speaking world. 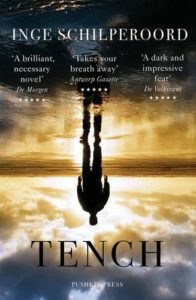 Highlights of the current crop include a retranslated classic (Turkish Delight), a potentially controversial first novel (Inge Schilperoord’s Tench), another Tonke Dragt classic, and the first English collection by the Netherlands’ brand-new poet laureate, Ester Naomi Perquin. Jan Wolkers, Turkish Delight, translated by Sam Garrett. Tin House Books, 2017. PB. Britta Böhler, The Decision, translated by Jeannette K. Ringold. Haus Publishing, 2016. PB. Charles den Tex, Anneloes Timmerije, Finding Her, translated by Brian Doyle. World Editions, 2016. PB. Orders: Centraal Boekhuis. Jan Vantoortelboom, His Name is David, translated by Vivien Glass. World Editions, 2016. PB. Orders: Centraal Boekhuis. Kim van Kooten, Dearest, translated by Arjaan van Nimwegen, Thijs van Nimwegen. Lebowski, 2016. PB. Saskia Goldschmidt, The Hormone Factory, translated by Hester Velmans. Saraband, 2016. PB. Wytske Versteeg, The Boy, translated by Sarah Welling. HopeRoad Publishing, 2016, PB. Annie M.G. 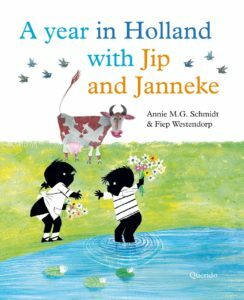 Schmidt, A Year in Holland with Jip and Janneke, translated by David Colmer. 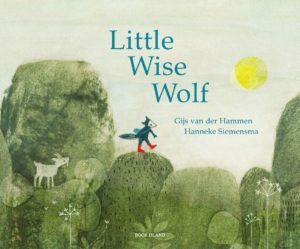 Ill. Fiep Westendorp. Querido, HB. Orders: Centraal Boekhuis. Paul van Loon, The Horror Handbook, translated by Sander Berg. 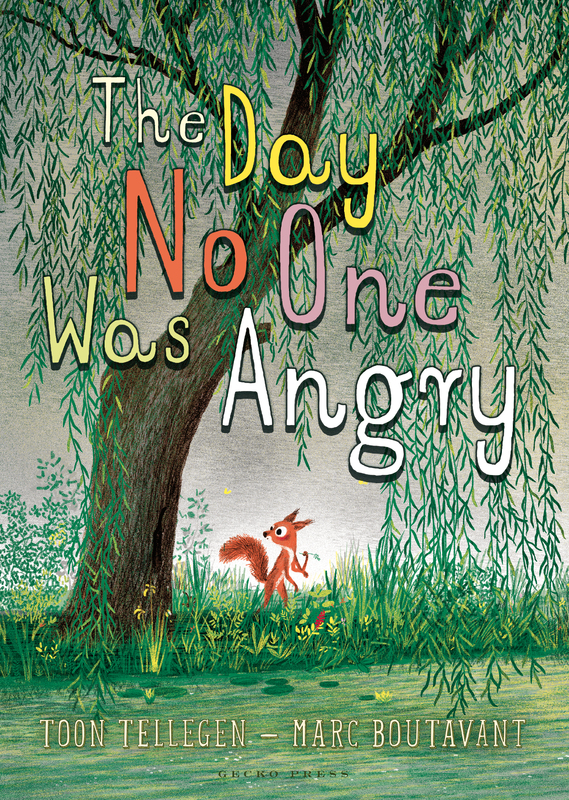 Ill. Axel Scheffler. Alma Books, 2016. PB..
Piet Grobler, Hey, Frog! 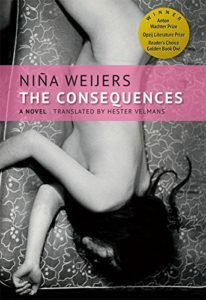 translated by Jesse Goossens. Ill. Piet Grobler. Lemniscaat, 2017. HB. Tjibbe Veldkamp, Tom the Tamer, translated by Jesse Goossens. Lemniscaat, 2017, HB. 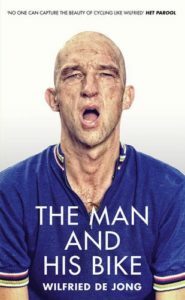 Wilfried de Jong, The Man and His Bike, translated by David Doherty. Ebury Press,2017. HB. Anton Blok, Radical Innovators, translated by Anton Blok. Polity, 2016. PB. Abel J.Herzberg, Amor Fati, translated by Jack Santcross. Wallstein, 2016 HB. 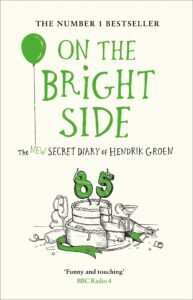 Fred Lanzing, Camp Life Is Paradise for Freddy, translated by Marjolijn de Jager. Ohio University Press, 2017. PB. Koen Vossen, The Power of Populism, translated by Vivien Glass. Abingdon: Routledge, Taylor and Francis, 2016. HB. 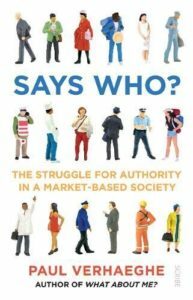 Paul de Grauwe, The Limits of the Market, translated by Anna Asbury, OUP, 2017. HB. Willem L Oltmans, Reporting on the Kennedy Assassination, translated by David Stephenson. University Press of Kansas, 2017. HB. 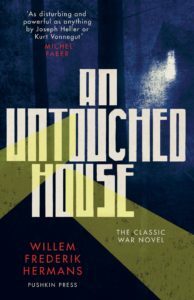 On the eve of the Frankfurt Book Fair, with Flanders and the Netherlands as this year’s theme countries, there’s been a lot of talk about the many new publications of translations of Dutch-language literature in Germany. This list shows English translations have been booming too. There have been so many, in fact, that it’s hard to pick out this season’s key titles. 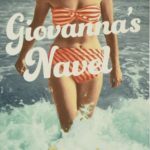 It’s great to finally see a translation of Gerard Reve’s postwar classic De avonden; there are books by best-seller authors Herman Koch and Hendrik Groen; The Penguin Book of Dutch Short Stories is an attractive sampler of mostly twentieth-century Dutch literature; Stefan Hertmans’s War and Turpentine has met with rave reviews on both sides of the Atlantic; and the centenary of the first world war has provided an impetus for the publication of the first English version of Paul van Ostaijen’s modernist classic Bezette stad, complete with a modern adaptation of his typographical firewords. 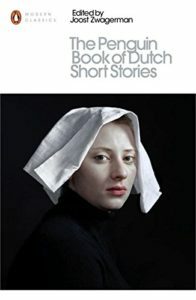 The Penguin Book of Dutch Short Stories, selected by Joost Zwagerman, various authors and translators. 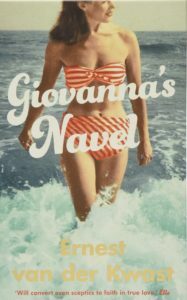 Penguin (Modern Classics), 2016. PB. 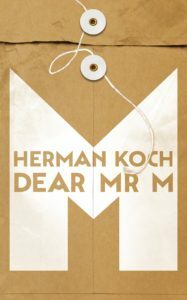 Herman Koch, Dear Mr M., translated by Sam Garrett. Picador, 2016. HB. 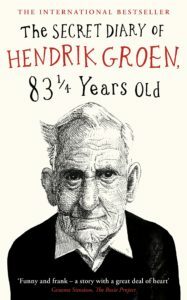 Hendrik Groen, The Secret Diary of Hendrik Groen, 83¼ Years Old, translated by Hester Velmans. Michael Joseph, 2016. HB. Saskia de Coster, We and Me, translated by Nancy Forest-Flier. World Editions, 2016. PB. Orders: Centraal Boekhuis. Thomas Olde Heuvelt, Hex, translated by Nancy Forest-Flier. Tor Books, 2016. PB. Guus Kuijer, The Bible for Unbelievers, translated by Laura Watkinson, Seven Stories Press, 2016. HB. Tom Lanoye, Speechless, translated by Paul Vincent. World Editions, 2016. PB. Orders: Centraal Boekhuis. Marente de Moor, The Dutch Maiden, translated by David Doherty. World Editions, 2016. PB. Orders: Centraal Boekhuis. Christine Otten, The Last Poets, translated by Jonathan Reeder. World Editions, 2016. PB. Orders: Centraal Boekhuis. Marion Pauw, Girl in the Dark, translated by Hester Velmans. William Morrow, 2016. HB. Annelies Verbeke, Thirty Days, translated by Liz Waters. World Editions, 2016. PB. Orders: Centraal Boekhuis. Menno Wigman, Window-Cleaner Sees Paintings, translated by David Colmer. Arc Publications, 2016. PB & HB. Orders: sue.arc@btconnect.com (tel: +44 (0)1706 812338). 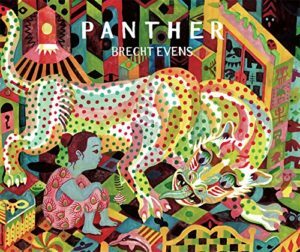 Brecht Evens, Panther, translated by Laura Watkinson & Michele Hutchison. Montréal: Drawn & Quarterly, 2016. HB. 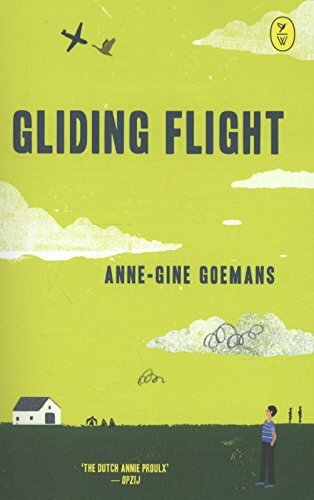 Ben Gijsemans, Hubert, translated by Julia Blackburn, Sandra van Beek. 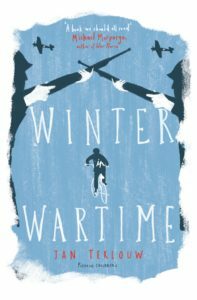 Jonathan Cape. HB. Aimee de Jongh, The Return of the Honey Buzzard (forthcoming), translated by Michele Hutchison. Self-Made Hero. HB. 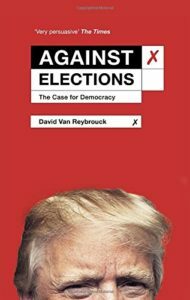 David van Reybrouck, Against Elections, translated by Liz Waters. The Bodley Head, 2016. PB. Tijs Goldschmidt, The Other Left Side, translated by Sherry Marx . Seven Stories Press, 2016. HB. Jaap Scholten, Comrade Baron, translated by Liz Waters. Arcadia, 2016. PB. Rik Smits, Dawn, translated by Rik Smits. Transaction Publishers, 2016. HB, PB. 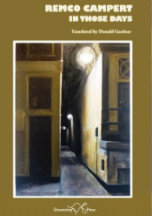 Eric Storm, The Discovery of El Greco, translated by Marjolijn de Jager. Sussex Academic Press, 2016. PB. Anna Woltz, A Hundred Hours of Night, translated by Laura Watkinson. Arthur A. Levine, 2016. HB. Tom Schamp, Show & Tell Me The World, translated by Lauren Napier and Wolfgang Linneweber. Little Gestalten, 2016. HB. 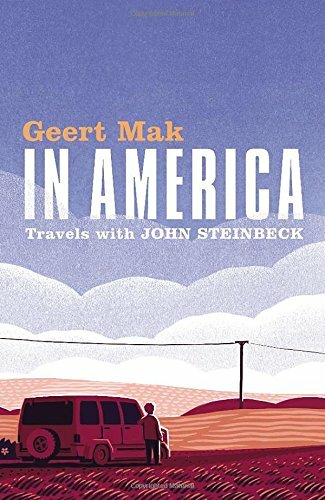 The last few months have seen a bumper crop of Dutch books in English. 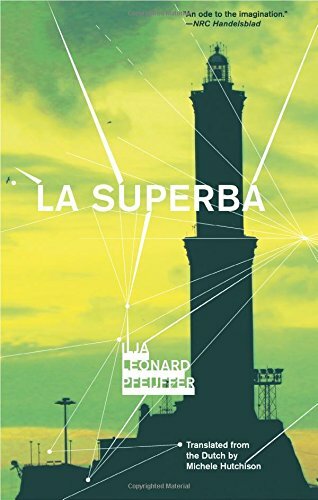 Texas independent Deep Vellum has released Ilja Leonard Pfeijffer’s La Superba and the author is currently on a US book tour. 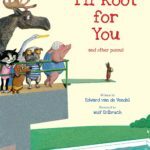 World Editions has published six new titles and is finally getting some international attention with a rave review in the Irish Times for You Have Me to Love, the translation of Jaap Robben’s bestseller Birk. 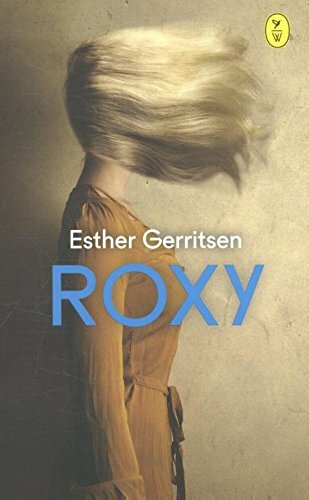 Book week author Esther Gerritsen’s Roxy is also appearing in English next month and Geert Buelens’s poetic history of the First World War has been published by Verso as a gorgeous hardback. Ilja Leonard Pfeijffer, La Superba, translated by Michele Hutchison. Deep Vellum, 2016. PB. Orders: Consortium (info@cbsd.com) or Ingram, Baker & Taylor. 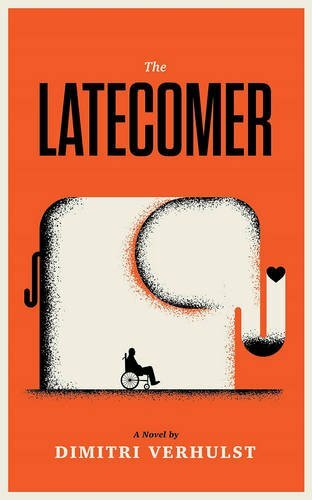 Dimitri Verhulst, The Latecomer, translated by David Colmer. Portobello Books, 2016. PB. Orders: sales@portobellobooks.com. 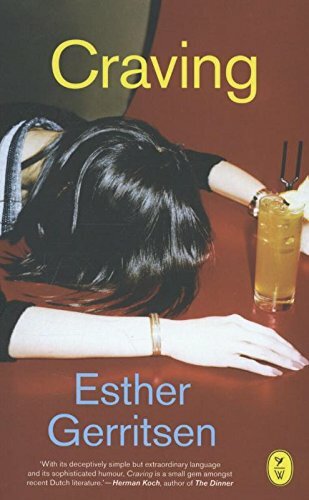 Esther Gerritsen, Roxy, translated by Michele Hutchison, World Editions, 2016 PB. Orders: Centraal Boekhuis. 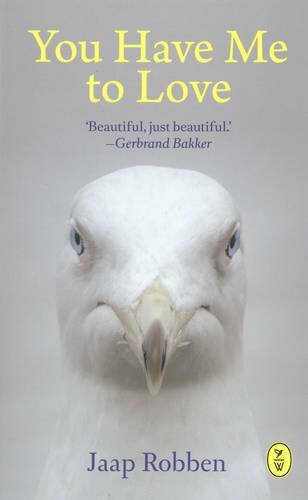 Jaap Robben, You Have Me to Love, translated by David Doherty. World Editions, 2015. PB. Orders: Centraal Boekhuis. 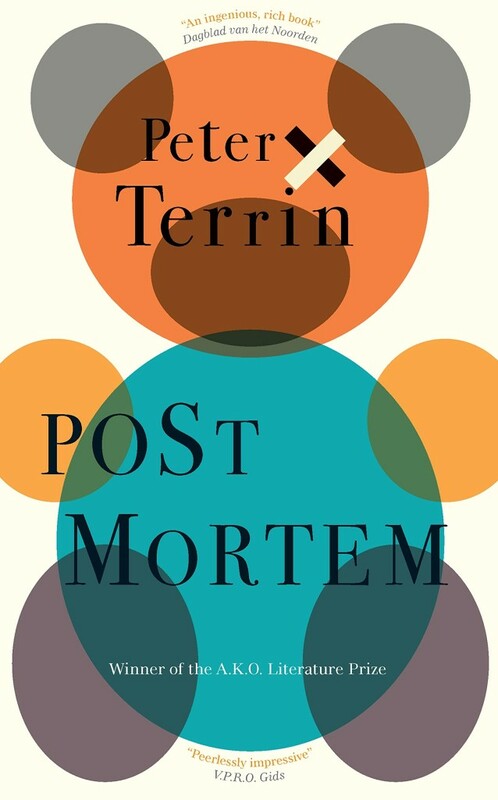 Peter Terrin, Post Mortem, translated by Laura Watkinson. MacLehose Press, 2015. PB. Orders: Lottie.chase@quercusbooks.co.uk. Kader Abdolah, The Messenger, translated by Niusha Nighting, Nouri Nighting. World Editions, 2016. PB. Orders: Centraal Boekhuis. Hanneke Hendrix, The Dyslexic Hearts Club, translated by David Doherty. World Editions, 2016. PB. Orders: Centraal Boekhuis. Jolien Janzing, Charlotte Brontë’s Secret Love, translated by Paul Vincent. World Editions, 2015. PB. Orders: Centraal Boekhuis. Tip Marugg, The Roar of Morning, translated by Paul Vincent. Yale University Press, 2015. PB. Peter Verhelst, The Man I Became, translated by David Colmer. Peirene Press, 2016. PB.. Orders: michael.geoghegan@btinternet.com. Nachoem M. Wijnberg, The Jews, translated by Vincent W.J. van Gerven Oei, Punctum Books, 2016. PB. Orders: eileen@punctumbooks.com. Nienke Denekamp & René van Blerk, The Vincent van Gogh Atlas, translated by Laura Watkinson. Rubinstein/Van Gogh Museum, 2015. HB. Peter Goes, Timeline, translated by Bill Nagelkerke. Gecko Press, 2015. HB. Orders: www.bouncemarketing.co.uk. Sylvia vanden Heede, What Dog Knows, translated by Bill Nagelkerke. Ill. Marije Tolman. Gecko Press, 2016. HB. Orders: www.bouncemarketing.co.uk. Laila Koubaa, Azizi and the Little Blue Bird, translated by David Colmer. Ill. Mattias De Leeuw. Book Island, 2015. HB. Orders: mo@centralbooks.com. 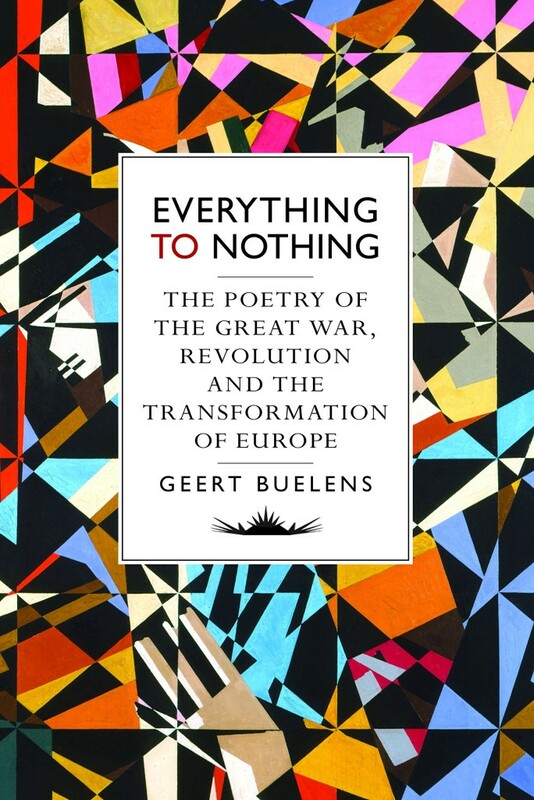 Geert Buelens, Everything to Nothing, translated by David McKay. Verso, 2015. HB. Orders: Marston, +44 (0) 1235 465500. 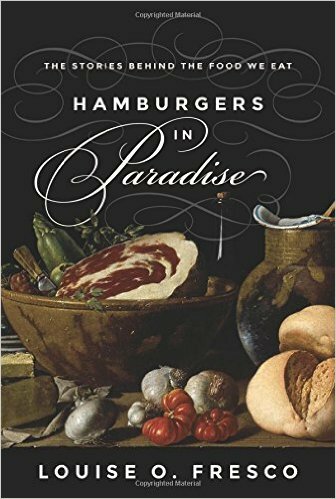 Louise O. Fresco, Hamburgers in Paradise, translated by Liz Waters. 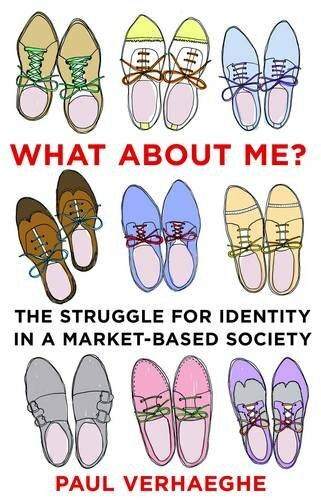 Princeton University Press, 2015. HB. Kader Abdolah, The Qur’an, translated by Niusha Nighting, Nouri Nighting. World Editions, 2016. PB. Orders: Centraal Boekhuis. Jan Boersema, The Survival of Easter Island, translated by Diane Webb. Cambridge University Press, 2015. HB. Floris Cohen, The Rise of Modern Science Explained, translated by Chris Emery. Cambridge University Press, 2015. PB. Carolien Roelants & Paul Aarts, Saudi Arabia, translated by Donald Gardner. Hurst & Co., 2015. HB. Friso Wielenga. A History of the Netherlands, translated by Lynne Richards. Bloomsbury, 2015. PB. 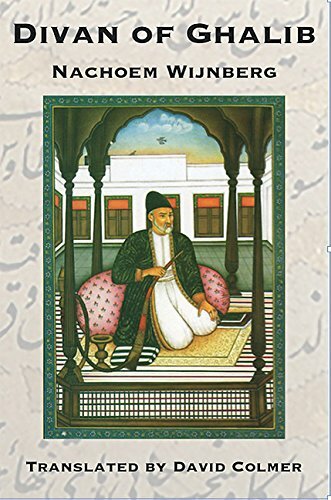 Nachoem M. Wijnberg, Divan of Ghalib, translated by David Colmer. White Pine Press, 2016. PB. Orders: dennismaloney@yahoo.com. 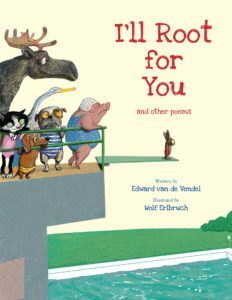 Various authors, 100 Dutch-Language Poems, translated by Paul Vincent, John Irons. Holland Park Press, 2015. Bernlef, A Still Life, translated by Scott Rollins. Guernica, 2016 PB. Herman Gorter, Poems of 1890, translated by Paul Vincent. UCL Press, 2015. HB. 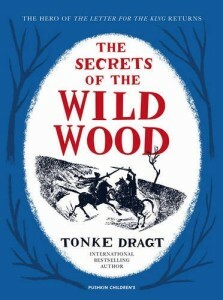 Other new publications of particular interest include The Secrets of the Wild Woods, a new Tonke Dragt in English; Tonio,under the international author name Adri van der Heijden; Fortunate Slaves, Tom Lanoye’s first novel to appear in English translation; and June, Gerbrand Bakker’s third novel in English. 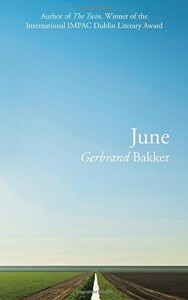 Gerbrand Bakker, June , translated by David Colmer. Harvill Secker, 2015. PB. Orders: Van Ditmar Boekenimport. Contact: Richard Pels, r.pels@vanditmar.audax.nl. 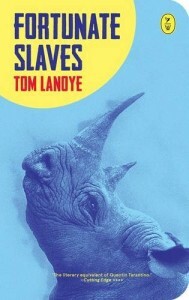 Tom Lanoye, Fortunate Slaves, translated by Michele Hutchison. 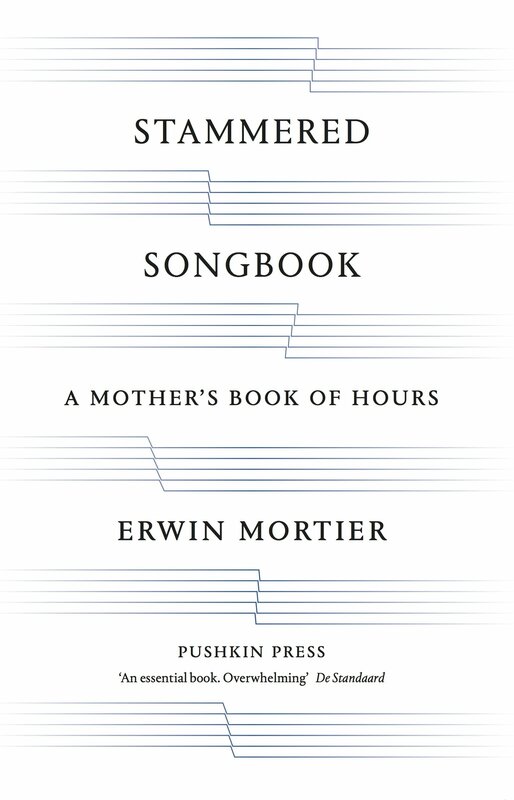 World Editions, 2015. PB. Orders: Centraal Boekhuis. Charles den Tex, Mr. Miller, translated by Nancy Forest-Flier. World Editions, 2015. PB. Orders: Centraal Boekhuis. Annelies Verbeke, Assumptions, translated by Liz Waters, World Editions, 2015. PB. Orders: Centraal Boekhuis. Bert Wagendorp, Ventoux, translated by Paul Vincent. World Editions, 2015. PB. Orders: Centraal Boekhuis. 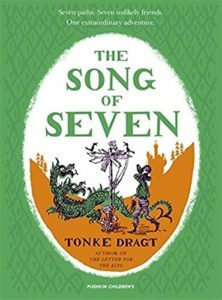 Tonke Dragt, The Secrets of the Wild Wood, translated by Laura Watkinson. 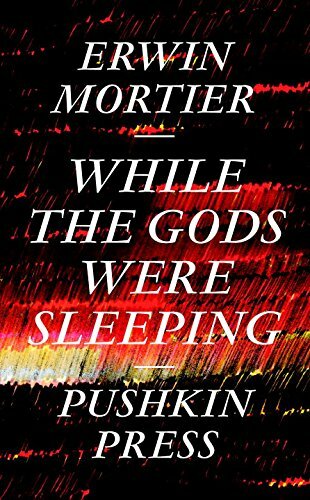 Pushkin Press, 2015. HB. Orders: michael@geoghegan.me.uk. 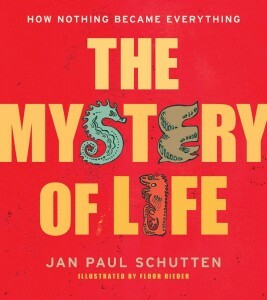 Jan Paul Schutten, The Mystery of Life, translated by Laura Watkinson. Beyond Words Publishing, 2015. HB. 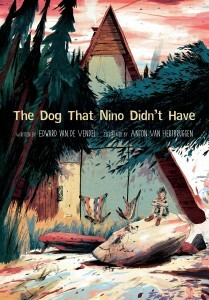 Edward van de Vendel, The Dog That Nino Didn’t Have, translated by Laura Watkinson. Eerdmans, 2015, HB. Orders: sales@albanbooks.com. Warre Borgmans, Roger is Reading a Book, translated by Laura Watkinson. Eerdmans, 2015. HB. Orders: sales@albanbooks.com. 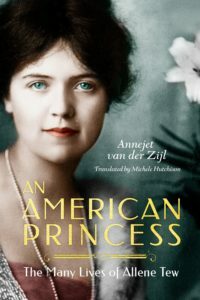 Annemarie van Haeringen, The Parakeet, the Mermaid and the Snail, translated by Jan Michael. Leopold, 2015. Orders: Centraal Boekhuis. Jan de Kinder, Red, translated by Laura Watkinson. Eerdmans, 2015. HB. Orders: sales@albanbooks.com. Leo Timmers, Franky, translated by Bill Nagelkerke, Gecko Press, 2015. HB. Orders: www.bouncemarketing.co.uk. 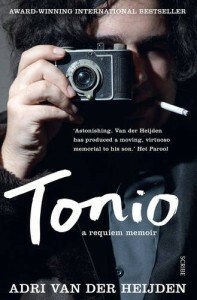 Adri van der Heijden, Tonio: A Requiem Novel, translated by Jonathan Reeder. Scribe, 2015. PB. Orders: orders@gbs.tbs-ltd.co.uk. Maarten Asscher, Apples & Oranges, translated by Brian Doyle. Four Winds Press, 2015. PB. Martin Bossenbroek, The Boer War, translated by Yvette Rosenberg. Jacana Media, 2015. PB. Maxim Februari, The Making of a Man, translated by Andy Brown. Reaktion Books, 2015. PB. Paul Glaser, Dancing with the Enemy, translated by Brian Doyle. Oneworld Publications, 2015. PB. Fokke Obbema, China and the West, translated by Laura Vroomen. I.B.Tauris, 2015. PB. Rudi Westendorp, Growing Older without Feeling Old, translated by David Shaw. Scribe, 2015. PB. Orders: orders@gbs.tbs-ltd.co.uk. Benno Barnard, A Public Woman, translated by David Colmer. Eyewear Publishing, 2015. PB. Orders: mo@centralbooks.com. Hester Knibbe, Hungerpots, translated by Jaqueline Pope. Eyewear Publishing, 2015. 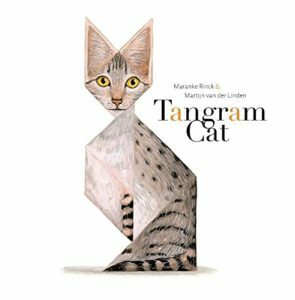 PB Orders: mo@centralbooks.com. 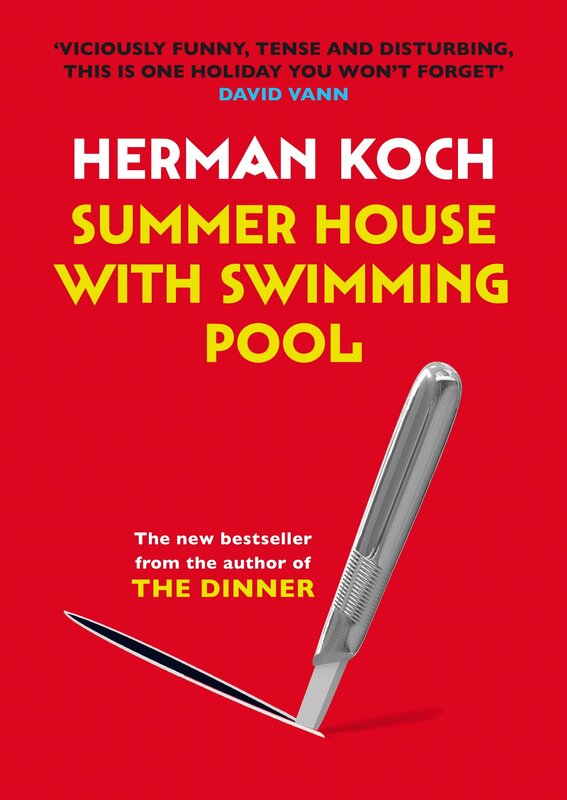 It may not end up matching the staggering success of The Dinner, but the early signs have certainly been favourable for Herman Koch’s Summer House with Swimming Pool, which has just come out in the UK. 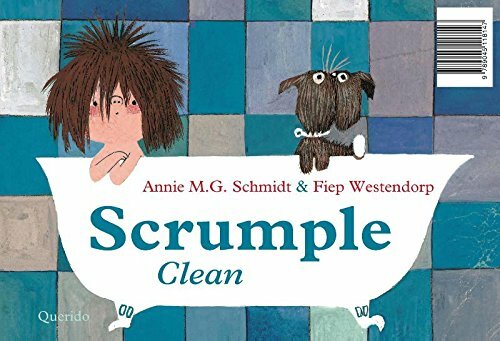 Pushkin Press continues its series of children’s classics with a new translation of Annie M.G. 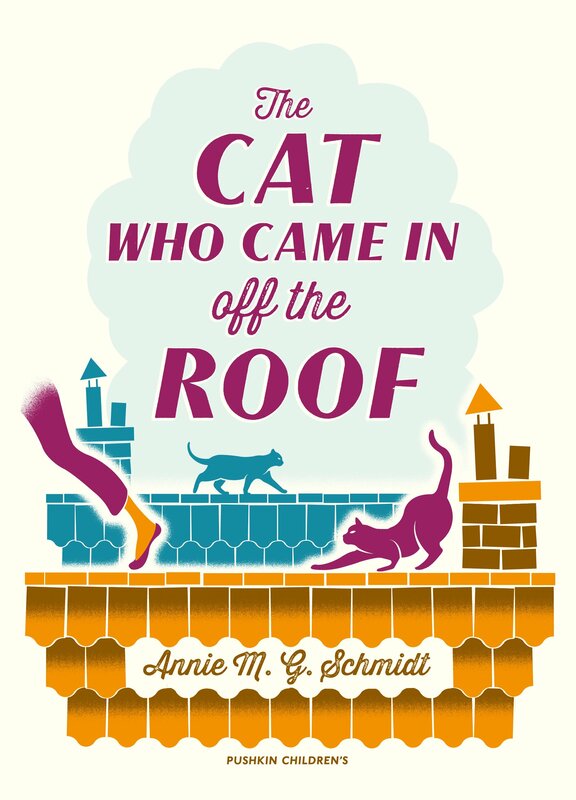 Schmidt’s much-loved Minoes, under the title The Cat Who Came In off the Roof and with a gorgeous retro look. 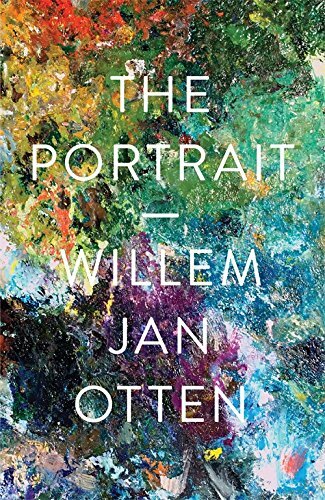 Other highlights of the last few months include novels by Erwin Mortier and Willem Jan Otten and graphic novels by Willy Linthout and Jan Cleijne. Herman Koch. Summer House with Swimming Pool, translated by Sam Garrett. Atlantic, 2014. PB. Translation of Zomerhuis met zwembad. Bob Van Laerhoven. Beaudelaire’s Revenge, translated by Brian Doyle. Pegasus Crime, 2014. Translation of De wraak van Baudelaire. Willy Linthout. What We Need to Know, translated by Laura Watkinson. Conundrum Press, 2014. HB. Translation of Wat wij moeten weten. Nando Boers & Pedro Horrillo. Amigo, translated by Adrian Bell, Aad Janssens. Mousehold Press, 2014. Translation of Amigo! Wielermail. Roelf Bolt. The Encyclopaedia of Liars and Deceivers, translated by Andy Brown. Reaktion Books, 2014. Translation of Leugenaars en vervalsers. Cretien van Campen. The Proust Effect, translated by Julian Ross. Oxford University Press, 2014. Translation of Gekleurd verleden. Henk van Gurp, Marcel Dicke & Arnold van Huis. The Insect Cookbook, translated by Françoise Takken-Kaminker & Diane Blumenfeld-Schaap. Columbia University Press, 2014. Translation of Het insectenkookboek. Hedda Kalshoven. 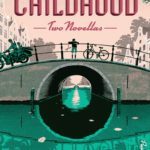 Between Two Homelands, translated by Hester Velmans. Illinois University Press, 2014. Translation of Ik denk zoveel aan jullie. Luuk van Middelaar. The Passage to Europe, translated by Liz Waters. Yale University Press, 2014. Translation of De passage naar Europa. Lodewijk Petram. The World’s First Stock Exchange, translated by Lynne Richards. Columbia University Press, 2014. Translation of De bakermat van de beurs.